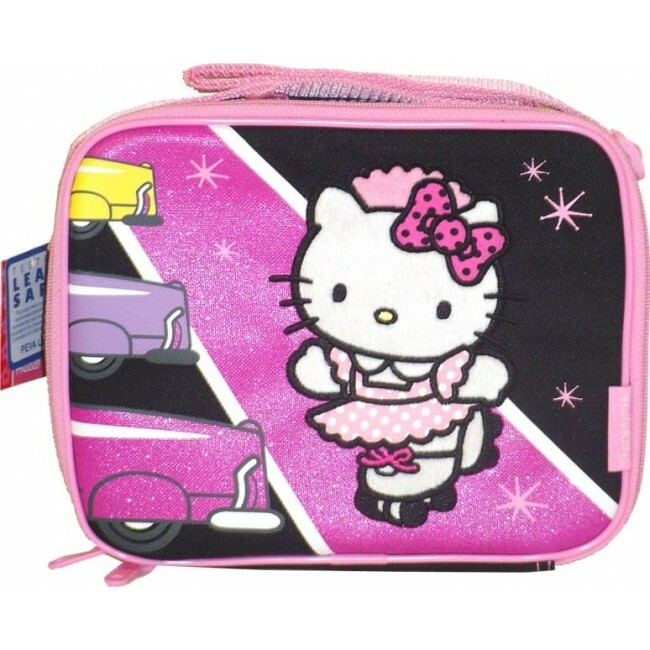 The Hello Kitty Lunch Box Bag Car Hop Style measures 10"L x 7.5"W x 3.5"D. It features a long, adjustable shoulder strap. Plastic water bottle is included in each lunch box. Each Hello Kitty Lunch Box Bag Car Hop Style have been tested lead safe, it either meets or exceeds the recommended standard for testing of accessible lead using the testing methods advocated by the Consumer Product Safety Commission and California Proposition 65.